OUTthere Magazine is the official inflight publication for REX (inc. Air-Link), Skywest, AirNorth, and Pel-Air. 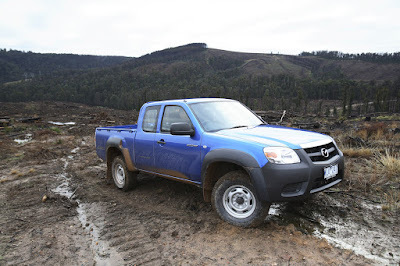 Rod has provided automotive content to OUTthere with his regular column "All Torque"
The workhorse of the rural sector, the trusty 4x4 trayback utility has provided a hardworking vehicle for the “man on the land”. Despite the unchallenged cult popularity of the sedan-based ute, sometimes a 2WD just won’t cut it. Out and out the most popular in this category, the Landcruiser 70 Series “Troop Carrier” has long set the benchmark for reliability and sheer durability. Now with eight models in the all-diesel range including Toyota’s first turbo diesel V8, the 70 Series will continue to set the pace. The 4.5-litre, 32-valve, 151kW turbocharged and intercooled, high-pressure-injection engine is standard equipment on all models. 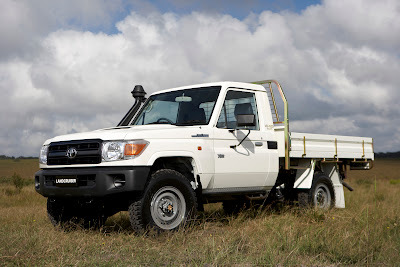 To give some insight, Toyota commissioned its own research and found that the predecessor to Toyota LandCruiser 70 Series, on which it is based, fulfils the major requirements of its target market. Seventy-four per cent of LC78 owners have previously owned a Toyota, while almost two out of three of them will replace their current LandCruiser with another one. The research said the typical buyer in this market was male, married, with an average age of 48 with towing capability and mechanical reliability as the two major priorities for heavy four-wheel-drive buyers. Load-carrying capacity was ranked third, followed by body workmanship. Entry level cab chassis Workmate starts at $53,490 with air-conditioning an option at $2640. 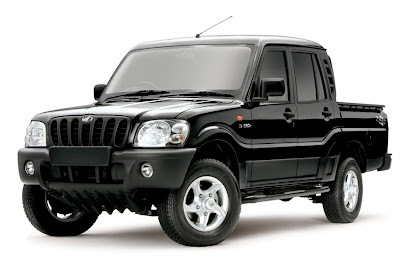 In June 2007, Sydney’s huge family-owned Tynan Motor Group formed TMI Pacific P/L to import and distribute Indian-built Mahindra motor vehicles in Australia. As of November 2008, a new joint venture company Mahindra Automotive Australia, will be 80 per cent owned by the Indian parent, Mahindra & Mahindra Ltd. Built like the proverbial brick outhouse, and based on early Willys Overland chassis technology, the addition of the Peugeot family 79kW 2.5l common-rail turbo diesel brings these vehicles up to locally-acceptable spec. Playing on their price point advantage, frill-free Pik-Up is a no-nonsense worker with plenty of cab room. 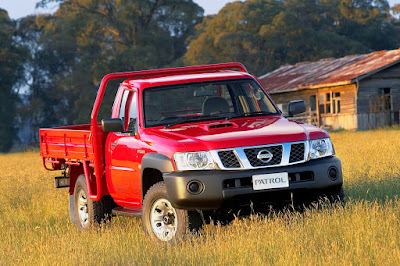 The popular and often undersung competitor in this range is the big Nissan Patrol cab chassis ute. The 4.2 litre diesel is now replaced by a 3.0 turbo of 118kW driving through a five-speed manual transmission. The bold new look is just over 12 months old with exterior changes bringing it into line with the Patrol wagon and Nissan’s trademark “four-wheel drive family” grille, new headlamps and revised front fender and bonnet. DX Leaf spring rear is priced from $49,790 with a/c standard. 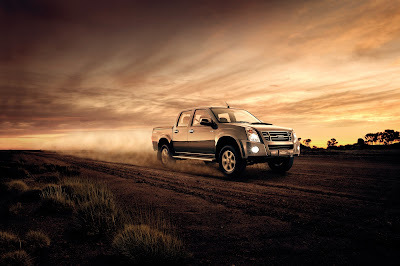 One of the world’s most popular utes, the Isuzu D-MAX, is being launched to Australian one-tonne ute and light truck customers at very competitive prices through a newly-appointed national network of Isuzu UTE dealers. Out to tackle class-leading Tpyota Hi-Lux head-on, this will be an interesting stoush. The 11-model range is all 120kW 3.0 litre turbo intercooled diesel-powered with class-leading fuel economy. 4x2 is also available. Recommended retail prices start from just $27,800 in the 4x4 range for the EX single cab-chassis manual – and that’s with air. Just revitalized, Mazda’s BT-50 range should raise Mazda's reputation as one of the fastest growing brands in the light commercial segment. Five new 4x4 models bring the number of BT-50 variants available to 29, offering 2.5 litre or 3.0 litre common-rail turbodiesels with 5-speed transmissions. Most of us will remember the trusty, if unremarkable Bravo series, badge-shared with Ford’s Courier. The new 3.0-litre turbocharged diesel engine developing 115kW will power the 4x4 segment of the BT-50 range with the 2.5 or 3.0 available in the 4x2s.